This kit Repairs the fuel pressure regulator that is fitted in the back of the high pressure fuel pump on BMW and Rover 75 TD4 and TD6. If your car Cranks and doesn't start and you've checked the injector leak off then this will probably be the problem! Petrol / Fuel Pump. This will fit the following vehicles:-. 1.8 / 2.0 / 2.5. Rover 75 Diesel In Tank Fuel Pump. MG ZT / ZT-T 2.0CDT / CDTI. 2.0CDT / CDTI. ROVER 75 / 75 TOURER. A FUEL PUMP IN TANK. (READ DETAILS BELOW). We can’t confirm without part number as each vehicle have 2-3 different options. (TO KEEP IT SIMPLE! ). MAGNETI MARELLI IN TANK DIESEL FUEL PUMP. Magneti Marelli is an international Group committed to the design and production of hi-tech systems and components for the automotive sector. ROVER 75 CDT(i) & MG ZT (1999-2005). Fuel Pump Type Under Bonnet In-Line. Ordered incorrectly/No Longer Required?. Not to worry! It's all about making it easier for you. 1Year Warranty . 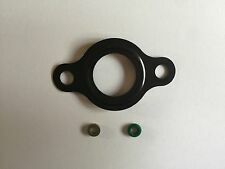 MGF TF ROVER 25/45/75 ZR ZT parts. 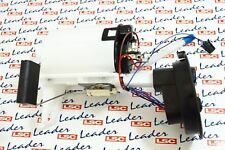 ROVER 75 2.0 PETROL 2003 IN TANK FUEL MODULATOR PUMP ELETRIC FUEL PUMP AND SENDER WHICH FITS ON THE OTHER SIDE TANK TO MAIN PUMP TOO BALANCE FUEL LEVEL. We are located at Autoline Motors Ltd, Froghall Stoke on Trent. 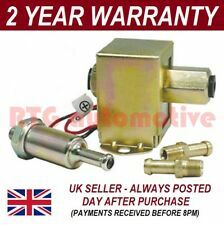 (ROVER 75 Fuel Pump 0000212311. This item was removed from a 2000 vehicle. Jersey, Guernsey, Scilly Isles) as well as for the Scottish Highlands. LAND ROVER 2.0 FREELANDER 2000-2006. However delays are occasionally inevitable due to unforeseen circumstances. ROVER 75 2.0 2001-2005. TO FIT THE FOLLOWING VEHICLES OE QUALITY PART. 2.0ltr CDTI 5 Door. ROVER 75 TOURER. High Pressure Fuel Pump. From A 2004 04 Reg. All parts are tested where possible. Unless otherwise stated the item in the picture is the one you will receive. We will do all we can to help you identify the correct part if you ask us. Tyres should be removed and replaced before the wheels are fitted to the car. 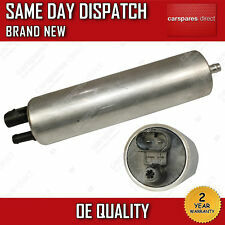 (ROVER 75 Fuel Pump 0000342495. This item was removed from a 1999 vehicle. Jersey, Guernsey, Scilly Isles) as well as for the Scottish Highlands. Part no: WFX000290. Rover 75 1.8 Turbo In Tank Fuel Pump in good working order. Available for collection if you wish. 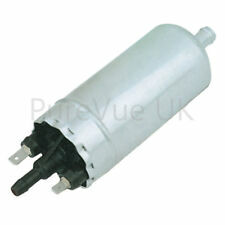 Part Manufacturer CARWOOD MOTOR UNITS LTD. ROVER 75 Tourer (RJ) 2.0 CDT Estate Diesel 08/2001 05/2005 FWD 16 115 85. ROVER 75 Tourer (RJ) 2.0 CDTi Estate Diesel 02/2003 05/2005 FWD 16 131 96. LAND ROVER MSR100320. Part number: 2247801 0445010011. Make:Rover MG. Pump Type:High pressure fuel injection. Fuel type:Diesel. 1 x Fuel pump. Year of donor vehicle:2004 (1999-2005). All Rover 75 MGZT 2.0 CDTI Turbo Diesel models. Our Products 1. The images of the Products are for illustrative purposes only. Your Products may vary slightly from those images. Our acceptance of your order will take place as described in clause 6.3. Channel Islands, Northern Ireland, Isle Of Man, Scottish Highlands and other UK off-shore Islands. Without it we cannot take responsibility for the part ordered. We would prefer to confirm your order details and avoid any problems. LAND ROVER WFX000180, WFX500210, WQB100480, WQB100482, WQB10048L. REMPLOY LTD WFX000180, WQB100480. ROVER 75 Tourer (RJ) 2.0 CDT Estate Diesel 08/2001 05/2005 FWD 16 115 85. ROVER 75 Tourer (RJ) 2.0 CDTi Estate Diesel 02/2003 05/2005 FWD 16 131 96. HIGH PRESSURE DIESEL PUMP 0445010011. DIESEL 2002. WE WILL GIVE DETAILS WHERE POSSIBLE. ROVER 75 High Pressure Pump 0986437006 2 01/99-01/05. BOSCH WIPER BLADES & MOTOR. CHAMPIONS WIPER BLADE. APEC WHEEL BRAKE CYLINDER. APEC BRAKE DISC & PADS KIT. BOSCH IGNITION & FUEL PARTS. ROVER 75 (RJ) 2 CDT. X5 (E53) 3.0 D. BMW CROSS-REFERENCE NO: 13517787537 / 13512247845. RANGE ROVER III (L322) 3.0 TD6. 3 SERIES (E46) 330d & 330xd 3.0. 5 SERIES (E39) 525D & 530D 2.5 & 3.0. 7 SERIES (E38) 730D 3.0. 75 SALOON (RJ). Anti Roll Bar link. COMPLETE FUEL PUMP SUITABLE FOR Trailing Arm Bushes. Windscreen Wiper Motors. Window Regulator. Lower Ball. HIGHLANDS, IRELAND,CHANNEL ISLANDS, JERSEY, ISLE OF WIGHT, BFPO. 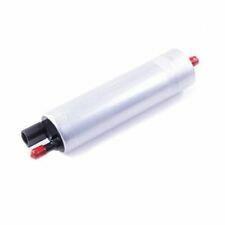 ROVER 75 High Pressure Pump 0445010011 2 01/99-01/05. BOSCH WIPER BLADES & MOTOR. CHAMPIONS WIPER BLADE. APEC WHEEL BRAKE CYLINDER. APEC BRAKE DISC & PADS KIT. BOSCH IGNITION & FUEL PARTS. ROVER 75 (RJ) 2 CDT. LAND ROVER - FREELANDER (LN) - 2.0 Td4 4x4. LAND ROVER WFX500210. LAND ROVER WQB100480. LAND ROVER WQB100480L. LAND ROVER WQB100481. LAND ROVER WQB100482. All filters are manufactured to the highest quality so save yourself ££££££'s on main dealer prices. Fuel Type: Petrol. 05/2005 1796 88 120 K 1.8 Saloon. 05/2005 1997 110 150 20 K4F Saloon. 10/2001 2497 129 175 KV 6 Saloon. ROVER 75 Tourer (RJ) 1.8 08/2001 -. ROVER 75 Tourer (RJ) 2.0 V6 08/2001 -. ROVER 75 Tourer (RJ) 2.5 V6 08/2001 -. Part Number: 228-214-003-003Z // WFX100933. Model: Rover 75 // MG ZT. Part: Fuel Pump. Warranty: 2 Year 1x Fuel Pump Einbauposition: Förderleitung zum Motor (außerhalb des Kraftstofftanks) ROVER 75 TOURER 2. PART NUMBER 81189514. IF THERE ARE PART NUMBERS IN THE ADVERT, THEY'RE THERE FOR A REASON. THIS MUST BE CHECKED PHYSICALLY AGAINST THE PART YOU ARE REPLACING. IF IT DOES NOT MATCH THEN IT IS MORE THAN LIKELY WILL NOT WORK ON YOUR CAR. We will always attempt to rectify the issue as fast as possible! We just want you and your car to be happy! BMW XXXX6750603. BMW XXXX6750601. BMW XXXX6750016. BMW XXXX4361224. BMW XXXX4361223. BMW XXXX4349709. MG MG ZT 2.0 CDTi. MG MG ZT- T 2.0 CDTi. LAND ROVER FREELANDER (LN_) 2.0 Td4 4x4. ROVER 75 Tourer (RJ) 2.0 CDT. ROVER 75 Tourer (RJ) 2.0 CDTi. LAND ROVER RANGE ROVER Mk III (LM_) 3.0 D 4x4. BMW 3 Touring (E46) 320 d.
Distributors and Independent Repairers alike recognise this pedigree. Direct Fit. Lambda Sensors. Spark Plug Tools. Glow Plugs. Spark Plugs. DIY Car Service Parts. Bosch Glow Plugs. Part No: LFP286. Lemark Fuel Pump Assembly - Part No. We apologise in advance for any inconvenience caused. Part No: LFP072. Lemark In-Line Fuel Pump - Part No. We apologise in advance for any inconvenience caused. They are designed to maintain the high pressures that modern fuel injected vehicles require. BMW Diesel Fuel Pump. Rover 75 Tourer 2001 - 2008 2.0L CDT Diesel. BMW 318d E46 2001 - 2003 2.0L Diesel. BMW 318d E46 2003 - 2005 2.0L Diesel. BnC Presents: HEAVY DUTY FUEL FEED UNIT. BnC Number: BNC13058. Fuel Type: Petrol. Are you worrying how to proceed warranty if you are from different country?. For details seeWarranty Policy. ROVER 75 Tourer (RJ) 2.0 V6 08.01 - 05.05 110 150 1997 Chassis number from: ZD225076. Years, engine2000m., 85kw, 1950cc. Transmission & Drivetrain. Warranty on electronic devices is void if identifying mark is removed or has sign of tampering. An item that has been previously used. Item will be sold as it is shown in the pictures.